Weighted baseballs are used to build arm strength and work on pitching mechanics. They are also somewhat controversial, with concerns that they can hurt a pitcher’s arm. 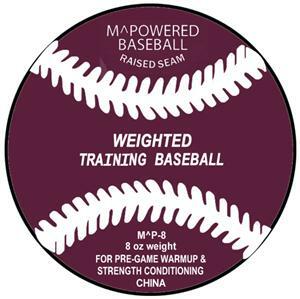 However most experts seem to agree that weighted baseball are safe for adults or older teenagers to use, as long as you follow certain precautions. It is not recommended that Little Leaguers or younger teens use weighted baseball. Maybe a thirteen or fourteen year old who has already had their arm built up substantially, but even that could be risky. For older players, however, they should be OK. A football weighs three times as much as a regular baseball (and more than most weighted baseballs) and the shoulders of quarterbacks tend to survive throwing the ball over and over again. Nevertheless, a weighted baseball should never be thrown off of a mound or used for long toss. It’s also not a good idea to use them to play catch because that’s how people get hurt. But drills in which baseball are tossed into nets six to eight feet in front of the pitcher can do wonders to improve a pitcher’s fastball. Some pitchers have reported gaining five to six miles per hour on their speedball after a year of training with weighted balls. And that could very well be the difference between a minor leaguer and a Major Leaguer and the tens millions of dollars a player can accumulate over a career if they make that jump. There have been two major studies on weighted baseball. The first, published in The Journal of Strength and Conditioning Research: Vol. 8, No. 4, divided 225 high school and college pitchers into three groups. Two of which trained with six ounces weighted balls (but used different training methods) and a control group that used regular balls. The researchers found, after ten weeks of training, the pitchers in the weighted ball groups had an average increase in velocity that was statistically significantly higher than the hurlers in the control group. The second study, also published in The Journal of Strength and Conditioning Research, used thirty high school pitchers and divided them into three groups: one that trained with weighed six ounce balls, one that trained with under weighted four ounce balls and a control group. It found that the groups training with overweight and underweight balls had velocity gains beyond the control group. This suggests it may be variation in weight, rather than overall weight, which yields results. It is also important to note that both of these studies used six ounces balls, whereas most commercially available weighted ball sets feature much heavier balls. Remember a six ounce ball weighs twenty percent more than a five ounce official ball — which is quite significant even though one ounce doesn’t sound like a lot. 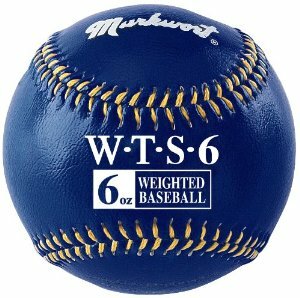 Sets of weighted baseballs generally run between twenty and thirty dollars. You can buy them at your local sporting good store and most online baseball retailers.